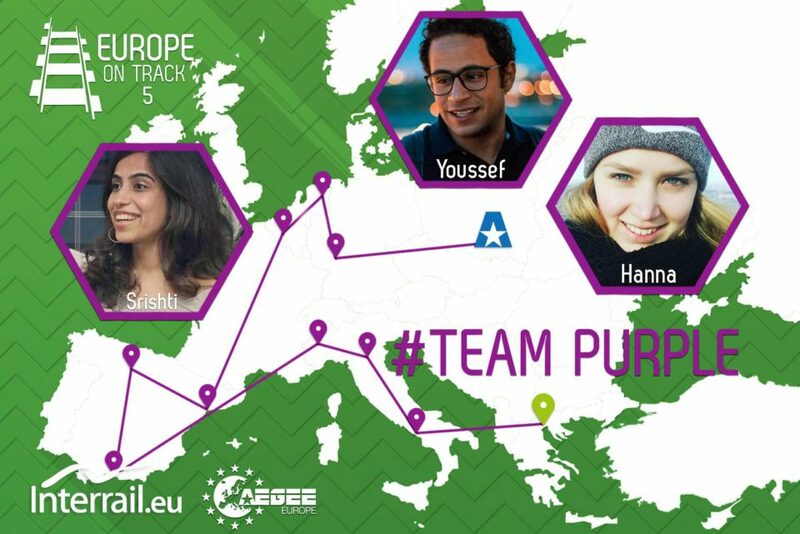 The start of the 5th edition of Europe on Track was scheduled for the 22nd March 2018 as nine ambassadors are travelling to many different cities for hectic month of workshops and documentation. 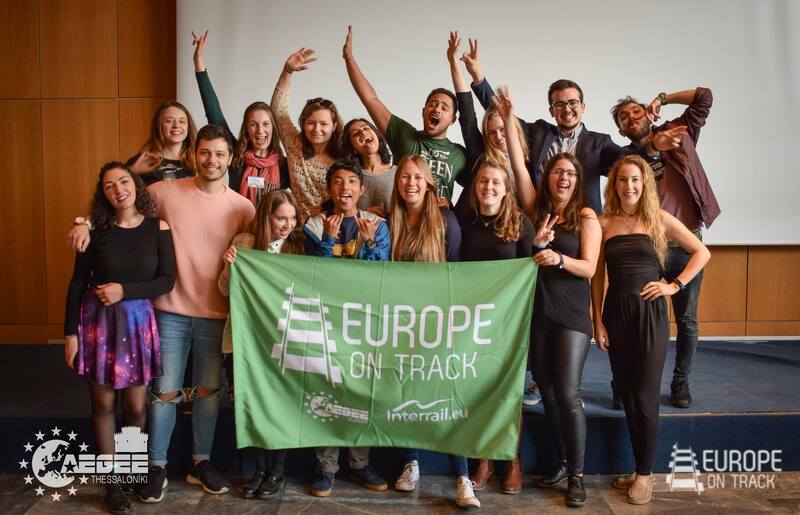 As you might know, Europe on Track is a project of AEGEE-Europe led by young volunteers who aim to raise awareness, to create a space for discussion and to capture the opinions of the youth. The ambassadors are selected from all over the world and range from many different countries. Hanna, Youssef and Srishti are travelling to Napoli, Bologna, Torino, Malaga, Burgos, Barcelona, Brussels, Utrecht and Mannheim. 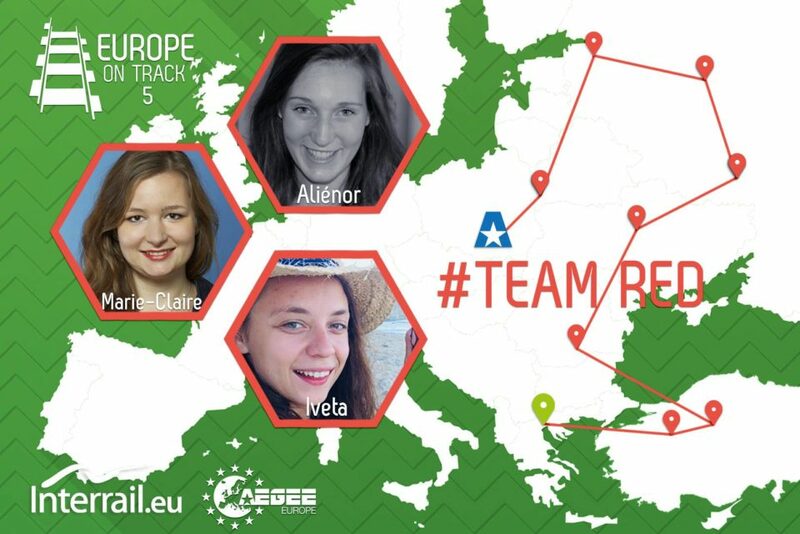 Team red has Marie-Claire, Iveta, and Aliénor going to Eskisehir, Ankara, Bucuresti, Kyiv, Voronezh, Moskva, Sankt-Petersburg and Grodno. Gab, Furkan and Brittney will be travelling to Novi Sad, Zagreb, Budapest, Aachen, Eindhoven, Leiden, Tilburg, Köln, Bamberg and Dresden. In each stop, the ambassadors will be hosted by members of the AEGEE locals and together, they will organise and conduct the various activities to engage 3000 people in total. Thirty-four AEGEE locals have been preparing to host and organise events for the ambassadors who will be visiting their cities for several months and it will be an intense month of travel and work for everyone involved. The locals and the ambassadors are very enthusiastic about starting the conference. They gathered in Thessaloniki also for team building and final preparation, and have been trained for several days to travel and work on the routes. In Thessaloniki, a kick-off conference was organised in cooperation with AEGEE-Thessaloniki titled: Smart Cities: Can You Hear the Eco? The conference saw several imminent speakers giving presentations and conducting workshops for the various participants who came from all over Europe to understand about smart cities and their various aspects. The participants were also organised in teams for a hackathon and present sustainable solutions for the problems that face Thessaloniki. The conference set the mood for what is to follow in the next month which is dialogue, debate and action for the very pressing issues of climate change and sustainability. 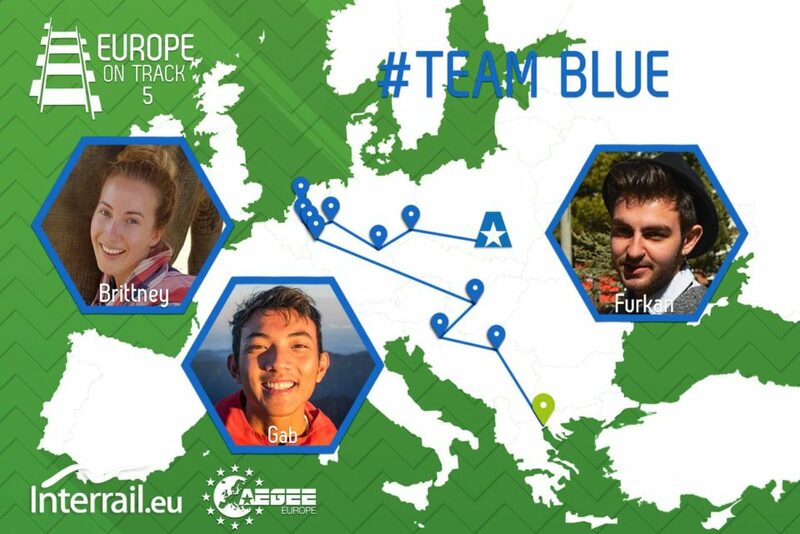 The project of Europe on Track has been made possible thanks to their partners and sponsors Interrail and Urban Adventures, and AEGEE-Europe and the participants are grateful for their support. The time has come for the ambassadors to embark on their journey and create an impact so as to be able to capture the opinions and views of young Europe and make a positive change and contribution to the society that they inhabit. Check out the trailer of this amazing adventure! Join the journey of these young ambassadors by following them on social media! ⟵Kickoff Conference – Smart Cities: Can You Hear the Eco?